Ranga Yogeshwar (left), one of Germany’s, most prominent business journalists, together with Katrin Köster and Dr. Markus Kliffken from BPW. Wiehl, 28.06.2017 --- Best brand, best employer, best training company, GreenTec Award, and now a top-100 innovator among SMEs – the transport specialist BPW has certainly been scooping up accolades recently. These prizes are the outcome not of good fortune, but of a rigorous innovation strategy, as the company’s managers outline below. 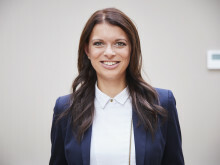 In recognition of its status as a leading innovator among German SMEs, BPW Bergische Achsen KG has been presented with a top-100 award. The family enterprise situated to the east of Cologne has been researching, developing and producing running gear solutions for the transport industry for around 120 years. It is now an established global player. 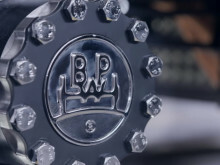 BPW Group now offers an extensive portfolio of products and services in a variety of segments, from lighting systems to telematics solutions, but still grabs the headlines in its traditional axle and running gear sectors. 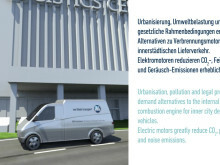 Among its most recent innovations is an axle with integrated electric drive for the urban transport environment. It not only eradicates the emissions associated with delivery traffic, but also significantly enhances manoeuvrability, reduces vehicle weight and improves safety. The company’s hub generator is equally impressive. 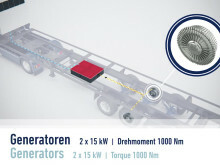 It generates electricity when the vehicle’s brakes are applied and, in the absence of a diesel unit, enables refrigerated vehicles to operate much more quietly. Emitting no more than a whisper, the hub generator allows supermarket deliveries to be made during the night. BPW has also devised a solution to curb the annoyance and cost triggered by burst tyres. The tyres are monitored and automatically inflated as necessary by a novel, autonomous tyre pressure control system. BPW nurtures this climate with training and development programmes, its own social network, and new working methods that encourage people to share knowledge across disciplines and hierarchical boundaries. An inspirational working environment, including a new ideas workshop, has been created for the same purpose. The workshop is not only a colourful, modern and creative space, but can also accommodate an entire trailer – the best possible backdrop for a discussion of fresh ideas. 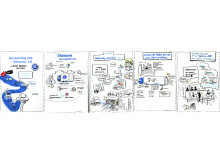 Agile methodology is not only shaping the development of innovative mechatronics capable of teaching trailers to look, see and feel with the aid of sensors, but is also being applied by the BPW Innovation Lab in Siegburg. It is seeking to integrate transport processes in the internet of things, and has adopted the agile approach in its customer workshops. Among other things, it has engaged an illustrator to produce instructive drawings of highly complex logistical processes. Transport and telematics specialists of BPW Group are working in the Innovation Lab alongside experts employed by SAP to enhance the interface between transport movements and companies’ resource management and production processes.